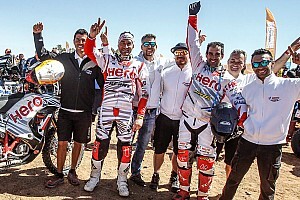 Both riders from Indian manufacturer Hero MotoCorp have climbed their way inside the top three heading into the penultimate stage of the Merzouga Rally on Thursday. Wednesday’s stage 3 was split into two unequal parts of 89 km and 107 km respectively. While the first half of the stage was riddled with rugged terrain, the second was trickier on the navigational side. Joaquim Rodrigues clocked a time of 3hr27m54s, just two minutes and 23 seconds short of stage topper Adrien Van Beveren (Yamaha). That allowed the Hero MotoSports rider to jump up to second in the overall standings, behind Beveren, with just two stages to go. Oriol Mena finished a minute off Rodrigues’ pace in third and has now moved up to the same position in the overall standings. 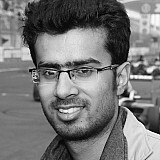 As such, Hero is currently the second highest-placed manufacturer in the field, only behind Yamaha. 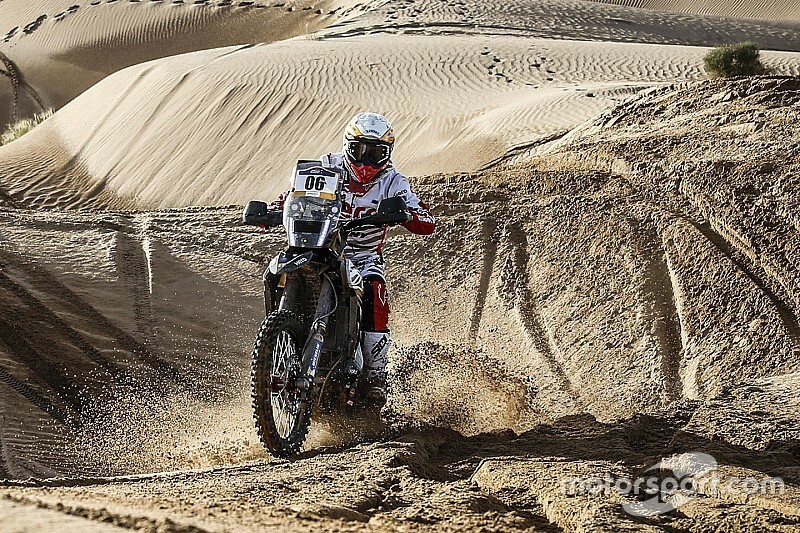 While Hero enjoyed a strong showing in the marathon stage, Sherco TVS had a relatively difficult day in Morocco. Michael Metge, who topped the second stage for the Indo-French outfit, was forced to retire after being hit by an engine issue just 25 kilometres from the finish. "I had a mechanical problem about 25km from the end, the engine broke down and there is nothing to do,” he said. With Metge out, Sherco TVS’ hopes in the primary Moto category rest with Aravind KP, who became only the second Indian to finish Dakar this year. KP had to deal with his own technical troubles in on Tuesday that forced a DNF in stage 2, but he recovered strongly to log the 32nd quickest time of the day. He currently holds the 66th spot in the overall rankings.